The perfect drink on a hot summer day. 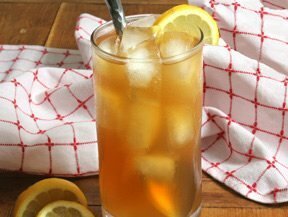 Sweet iced tea with a lemony tartness. Poured over ice, it is just what you need to quench your thirst after working in the garden or any warm sunny day activity. It is also a perfect beverage to serve at any summer gathering of friends and family. Find step-by-step instructions on how to make super fresh homemade lemonade for the perfect summer beverage to enjoy at any meal or on a hot summer afternoon. Use one of several methods for making everyone's favorite summer treat. See how easy it is to create many different flavors of ice cream.